PROVO, UT. — Former MLB pitcher Jack Morris will be the keynote speaker at the third annual “First Pitch” Fundraising Dinner on Jan. 8 at the NuSkin Ballroom in Provo. The event starts at 7 p.m., with a dinner followed by a presentation of the Cameron Tuckett Award by former BYU Coach Glen Tuckett, and an address by Morris. Source: BYU Cougars. The Cameron Tuckett Award is given annually to the player who demonstrates consistent effort in academics, citizenship and baseball from the past season. Soource: BYU Cougars. The First Pitch Dinner will also feature a silent auction and a few live auction items like memorabilia from MLB, NFL, NBA and former Cougar greats. 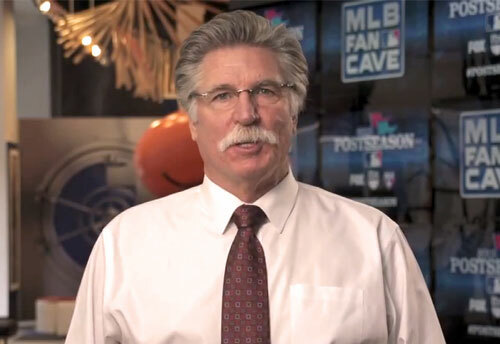 Jack Morris is a former Major League Baseball right-handed starting pitcher. He played in 18 big league seasons between 1977 and 1994, mainly for the Detroit Tigers, and won 254 games throughout his career. Armed with a fastball, slider, devastating forkball and a fierce competitive spirit, Morris was a five-time All-Star (1981, 1984, 1985, 1987, and 1991), and played on four World Championship teams (1984 Tigers, 1991 Twins, and 1992–1993 Blue Jays). Morris has spent time as a color analyst for the Minnesota Twins. He also is an occasional guest on Detroit Tigers broadcasts. He also spent time in Lakeland, Florida as a part-time coach for the Detroit Tigers during spring training. In 2013, Morris joined Sportsnet as a color analyst for Toronto Blue Jays radio broadcasts, as well as making appearances on television broadcasts.